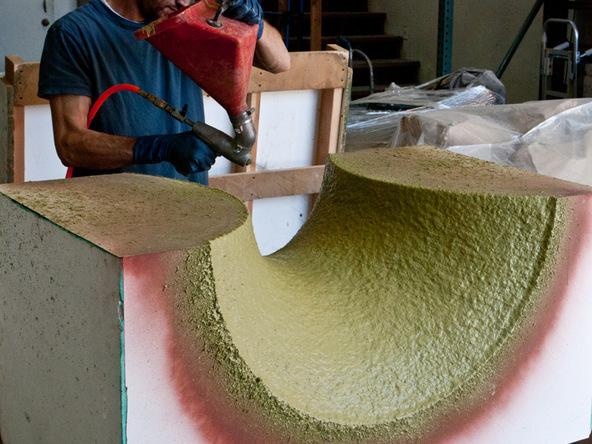 Watch how the two mold haves are assembled and a layer of casting blend is sprayed into the mold. Plus see how the seams are reinforced with fiberglass scrims. 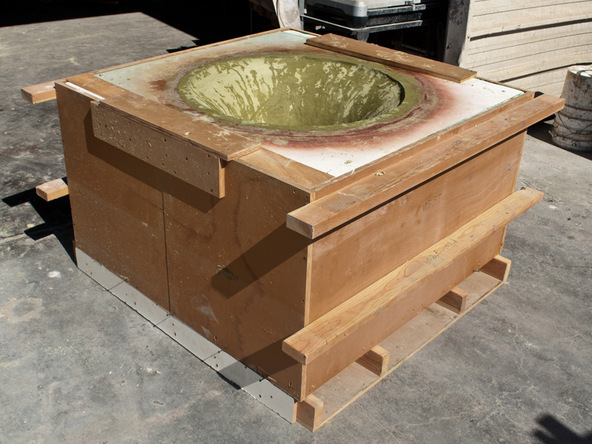 Around 120 pounds of concrete go into this table base. 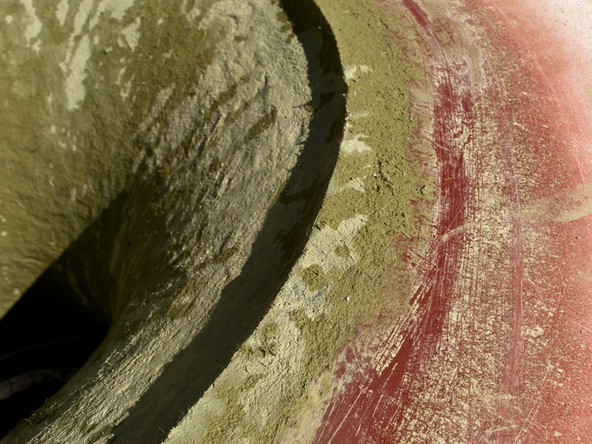 After the face coat has been sprayed, the backer coat can be hand-packed into the form until the total thickness is about 1″. Wait until the face coat reaches a plastic-like consistency. It should begin to set before applying the backer coat. In a warmer shop environment, the face coat will set up quickly. In a cooler environment, it will take more time. 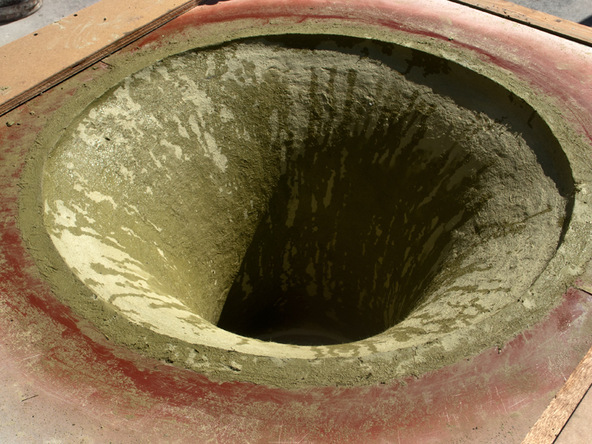 Each half of the form is initially cast separately to allow efficient placement of the fiber reinforced concrete mix before the forms are seamed together. 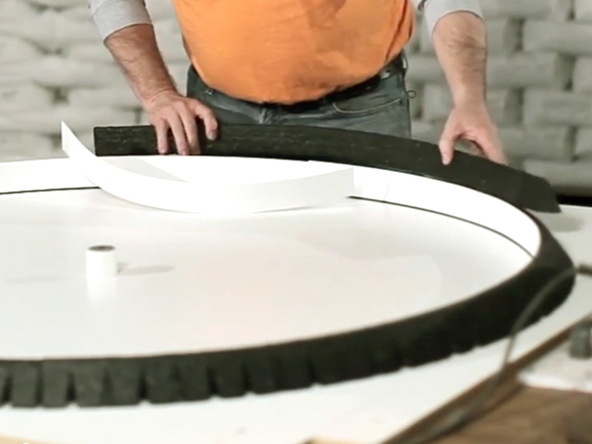 3/4″ melamine and EPS foam are used to shape this 48″ diameter table top. The table also has a hole in the middle to accommodate a large table umbrella.